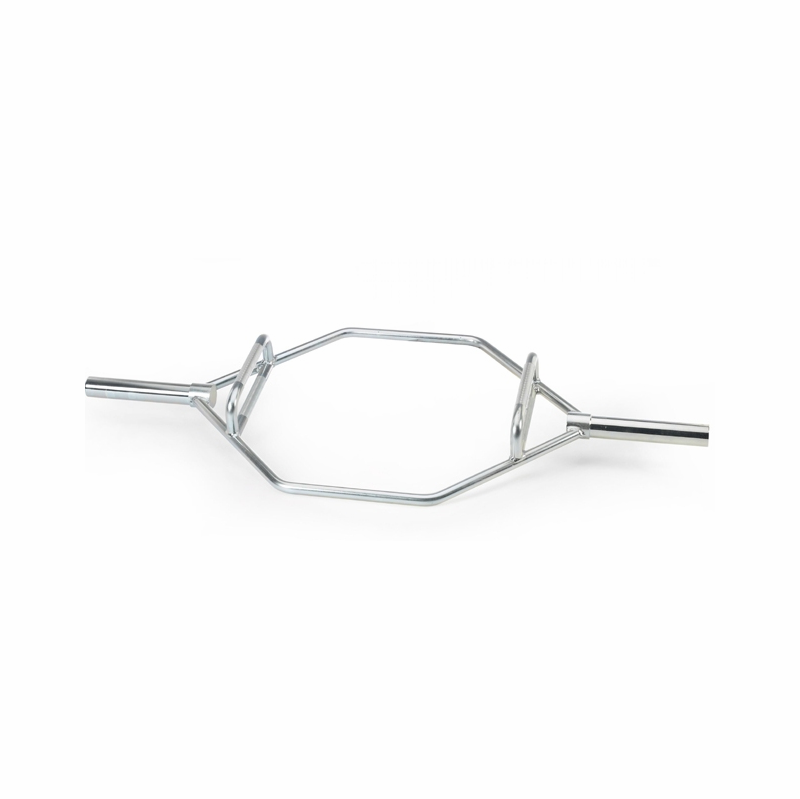 Our �hex� bar with both raised and parallel handles is ideal for shoulder shrugs and dead lifts. It�s more efficient than a traditional barbell because the weight is kept more in line with the body of the lifter than in front, reducing stress to the lower back. The spacious hexagonal design makes it easy to step in and out of, while the chrome finish resists rust and corrosion. Solid steel sleeve design.